Clipper Ventures Chief Executive William Ward features in one of twelve separate films, produced in partnership with Ridley Scott Associates, showcasing real, live export opportunities that are waiting for UK businesses overseas. It’s all part of ‘Exporting is GREAT’ a new government initiative launched today (9 November). Exporting is GREAT aims to inspire and support 100,000 additional UK businesses to sell their goods and services overseas by 2020. Filmed around the world in locations as varied as Qatar, France and Malaysia, the films also feature some of the UK’s high profile export champions and entrepreneurs including Kelly Hoppen MBE, Ron Dennis, Professor Brian Cox, and Ken Hom. William was filmed in Rio de Janeiro last month, talking about marine engineering opportunities for UK businesses available right now in Brazil. This business opportunity, along with hundreds of other live opportunities, will be available on a new platform www.exportingisgreat.gov.uk with a range of content to help exporters. “I learned early on that to run a successful business you have to get out there and try. It might feel like there are too many barriers but you can probably double or even treble your business if you extend beyond your comfort zone. There are markets all over the world that are desperate for something from the UK, the UK brand means quality." The Clipper Race acts as a platform for global business: alongside the sporting competition countries and companies participate in a ‘floating’ trade mission as we visit 14 ports on six continents over the best part of a year. William was named a GREAT Britain Ambassador by the Prime Minister at No 10 Downing Street last year in recognition of his personal support and contribution to the GREAT campaign. ‘Exporting is GREAT’ aims to turn the UK into the world’s greatest exporting nation, capturing the imagination of the public, boosting business confidence and national pride and empowering more UK companies to go out and succeed in global markets. Conrad Bird, Director of the GREAT Britain Campaign, says: “Exporting is GREAT is our most ambitious exporting campaign ever. It reflects both the Government’s and the wider business community’s commitment to increasing the number of UK companies exporting. Exporting is good for businesses – those that do so are more productive, innovative and resilient – and this is critical to the UK economy. The GREAT campaign is in the midst of its second race partnership with one of the twelve identical 70-foot yachts branded GREAT Britain as a focal point for promoting the UK around the globe as we visit Brazil, South Africa, Australia, Vietnam, China, the USA and Europe. We use our unique global platform to help position the UK as the best place to do business with, invest in, study in and visit. The television campaign will run throughout the rest of November on multiple channels including ITV, Channel 4, Sky News, Sky Sports and Sky Movies. 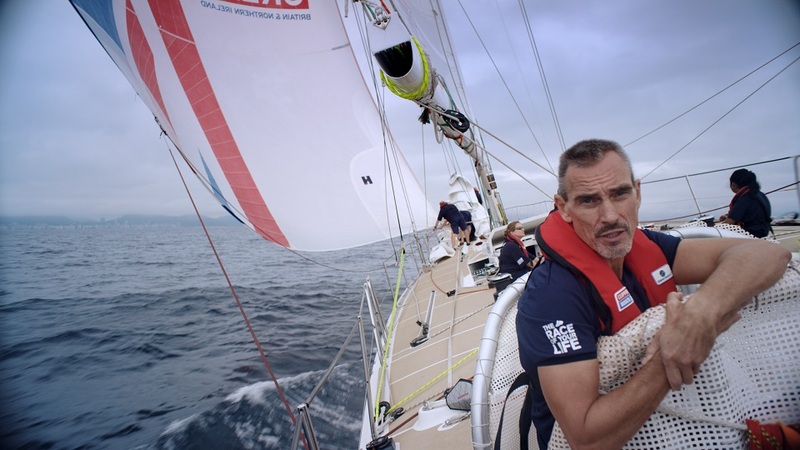 The Clipper Race TV commercial featuring William Ward can be seen specifically tonight (9 November) on Sky News at 18:10 GMT, Channel 4 at 21:05 and during American Sniper on Sky Movies from 22:05, with further airings to take place throughout this month. The campaign’s mission is to turn the UK into the world’s greatest exporting nation, capturing the imagination of the public, boosting business confidence and national pride and empowering more UK companies to go out and succeed in global markets.